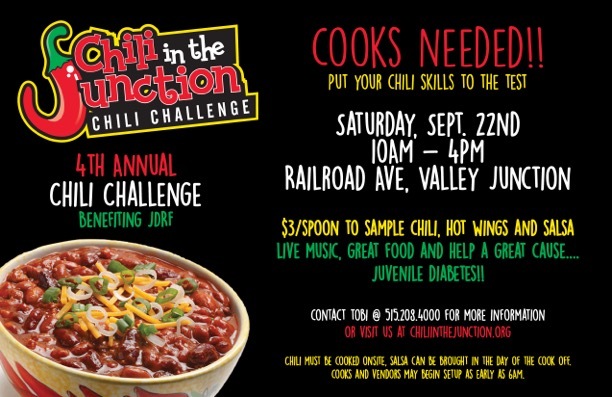 Stroll through the 4th Annual Chili in the Junction Chili Challenge and sample different styles of chili, hot wings, and salsas! Listen to live music and grab a bite to eat, all to benefit JDRF. 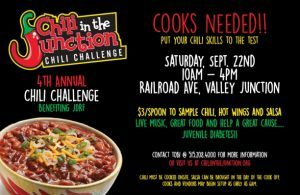 This event is not produced by the Historic Valley Junction Foundation, but posted as a community service.